LINTHICUM, Md., April 26, 2010 -- The BWI campus of Northrop Grumman Corporation's (NYSE:NOC) Electronic Systems sector has once again been recognized for its exemplary employee safety and health programs by the Maryland Occupational Safety and Health (MOSH) Voluntary Protection Programs (VPP). 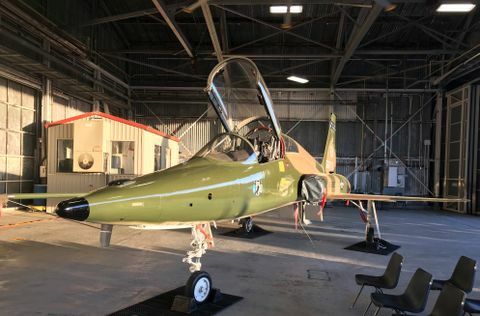 In ceremonies on April 21 at Northrop Grumman's engineering and manufacturing complex on Aviation Blvd. 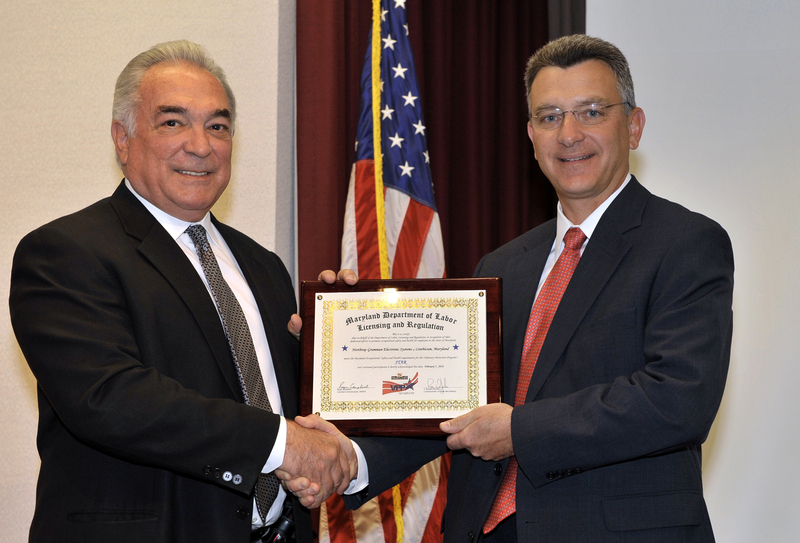 adjacent to BWI Thurgood Marshall Airport in Linthicum, J. Ronald DeJuliis, Commissioner of the Maryland Department of Labor and Industry, presented company officials with a framed citation certifying the BWI campus' ongoing VPP Star status reserved for those organizations and employees recognized as having comprehensive, successful safety and health management systems. Created by the federal Occupational Safety and Health Administration in 1982, the VPP recognizes and partners with businesses and worksites that show excellence in occupational safety and health. VPP participants develop and implement systems to effectively identify, evaluate, prevent and control occupational hazards to prevent employee injuries and illnesses. 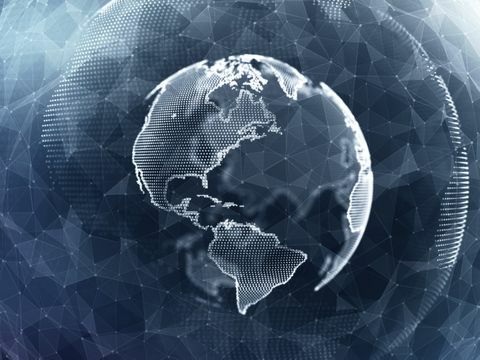 VPP participants are removed from programmed government agency inspection lists. "At Northrop Grumman, we are extremely proud of the fact that the company's BWI campus was selected as the very first VPP Star facility in the state of Maryland over a decade ago," noted Joseph J. Ensor, vice president and general manager of engineering, manufacturing and logistics for the company's Electronic Systems sector. "This latest VPP achievement is a testament to the outstanding dedication and commitment of employees at all levels of the organization in helping to create and maintain a safe and healthful working environment." In attendance at the VPP certification ceremony were Northrop Grumman employee safety observers, fire brigade members and other emergency response personnel, including members of the company's environmental, health, safety and fire protection staff. 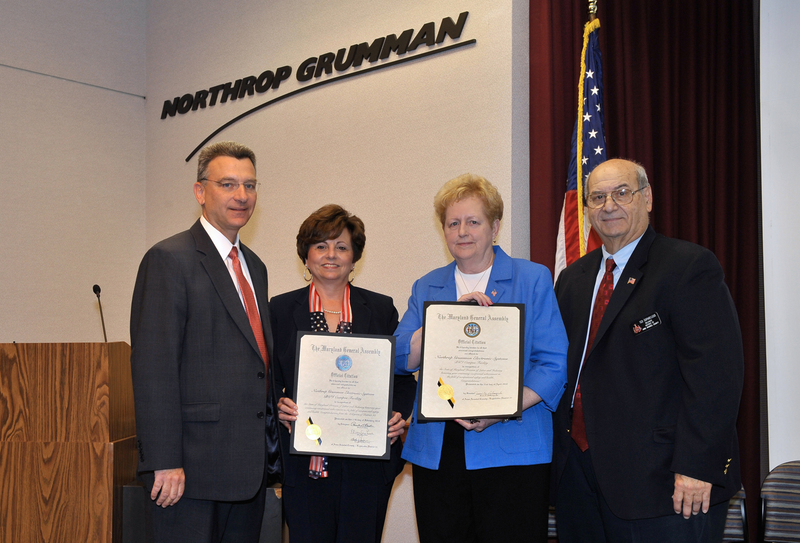 Also on hand to present official proclamations from the Maryland House of Delegates and Maryland State Senate congratulating Northrop Grumman on again achieving the VPP Star site safety and health designation were Delegates Mary Ann Love, Pamela G. Beidle, and Theodore J. Sophocleus of Anne Arundel County.